As the Pitch Perfect series continues, today we feature a 1949 collection of advertising slogans used to market public utilities. America, a land of light in a world of darkness (Consumers Public Power). 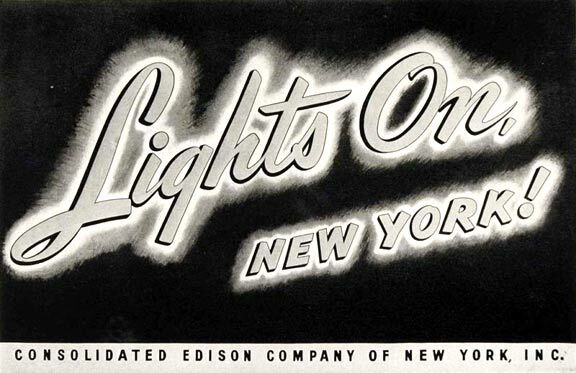 At your service (New York Edison). Citizen, wherever we serve, A (Georgia Railway & Power Co.). Complete gas service for every home (American Gas Machine Co.), Albert Lea, Minn.
Costs less per month of service (Vesta Accumulator Co.). 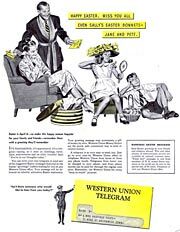 Don’t write, telegraph (Western Union). Don’t write, telephone (Bell Telephone). For the greatest good of the greatest number (City Light). 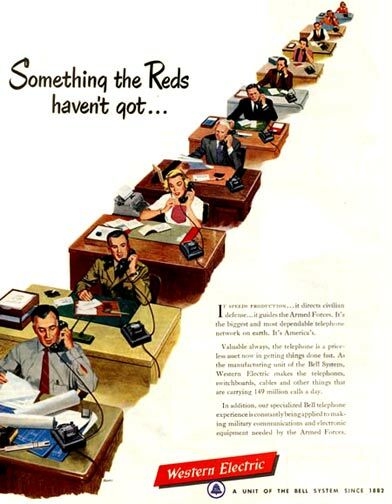 Friendly place to work, A (Bell Telephone). Good job for you, A (U. S. Army). In the twinkling of an eye (Trans-Canada System), Telephone. Live electrically and enjoy the difference (Reddy Kilowatt). Long distance is the shortest way home (Bell System). Most for your money in fuel, The (Illinois-Iowa Power Co.). One policy, one system, universal service (American Tel. & Telegraph Co.). Our ambition: ideal telephone service for Michigan (Mich. Bell Tel. Co.). Power that lights and moves Alabama, The (Alabama Power Co.). 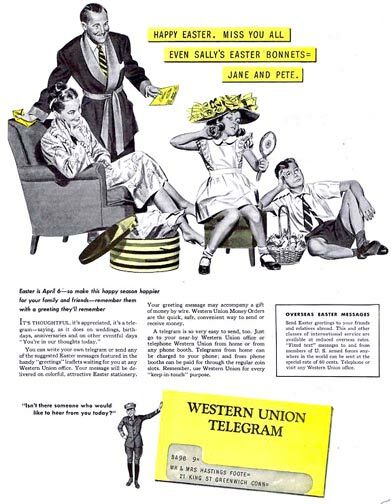 So many times a telegram means so much (Western Union). Use the Bell to sell (Bell Telephone Co.). Voice with a smile, The (Bell). Voice with the smile wins, The (Am. Tel. & Tel. Co.). Voice with the smile wins the world over, The (Am. Tel. & Tel. Co.).